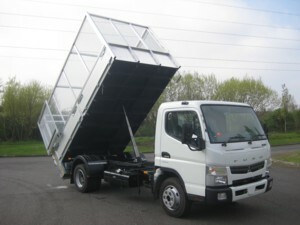 e-Van Transportation has partnered with an authorised waste collector in Dublin to offer you a fully licenced garden clearance service in Dublin and parts of Wicklow, Kildare and Meath, for removal of garden waste. Need to dump garden waste / green waste, such as grass, leaves, branches, hedge cuttings / clippings and soil and all general garden waste. We can arrange clearance, collection and disposal, whether you have it bagged up in advance and ready for collection or if you need it to be gathered up and bagged by our collectors. Fully licenced by the NWCPO our disposals partner holds a Waste Collection Permit, which will be produced on request on the day of collection. Our service partner is fully insured and licenced to offer a garden waste disposal service in Dublin, as well as disposal of many other types of waste. Under waste disposal legislation, it is illegal for a person to hand over waste* (including garden waste) to anyone other than an authorised waste collector who is in possession of a valid waste collection permit. Failure to comply with this law can lead to heavy fines for both the owner of the waste and for a person collecting waste without a permit. Collection of any type of waste, including garden waste, requires a waste collection permit. Our waste collector does have a valid waste collection permit, which can be produced at the time of collection. The price we quote you for collection includes a disposal fee of 25c per kg, based on an estimated weight of the garden waste you are dumping and a collection fee from €40 to €70 depending on your location. The basic collection fee covers 30 minutes loading time. Additional time, if required would be charged at €6.25 per 15 minutes. There is an optional 2nd man available for an additional charge: this charge is €25 for most of the areas, and covers up to 30 minutes loading time. Additional time would be charged at €3.15 per 15 minutes. All garden waste is taken to an authorised recycling facility. 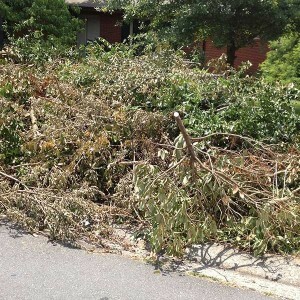 If you need to dump garden waste / green waste and require a larger vehicle because you cannot fit these large items into your car, or because you don’t own a vehicle, e-Van Transportation offers the ideal solution for garden waste disposal.